Well hello to you my reader chums! 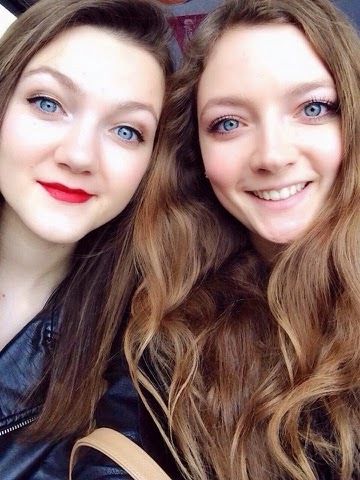 Yesterday I had a lovely day out with my twin sister Maria. We are both big ballet fans and when found out the Nutcracker was going to be performed in one of our local theatres, we grabbed at the chance and bought tickets! As it was on later in the day we thought we would make a day of things, by having a browse round the shops and going for a meal out. Here's a couple of snaps of Maria and I on the way there. 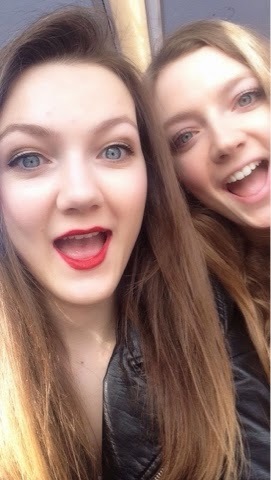 As you can tell we got a bit hyper, it was such a funny day! I'm on a bit of a spending ban at the minute since I'm saving for holiday spending money and therefore didn't go on a big splurge like I usually do when I'm shopping, (I'm a bit of a shopaholic). However as Canterbury is my nearest Lush I had to pick up a few bits. The first item I bought was the 'Hoppily Poppily' bath bomb. 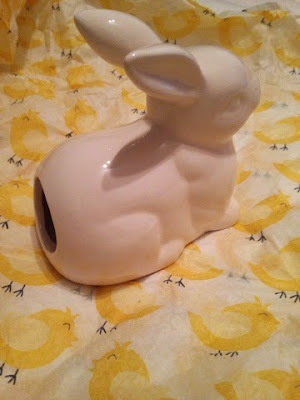 I have a big obsession with rabbits, they are my favourite animal and so when I saw this, I was like I'm getting this! It has a rather sweet scent similar to the sweets parma violets. I'm intrigued to try it as I'm pretty sure its one of their newest additions to the Easter range and I love the unique smell. The other bath bomb I bought is my ultimate favourite- the 'golden egg'. I'm sad this isn't available all year round because I'm addicted to the scent. It's an amazing sweet smell like honey! 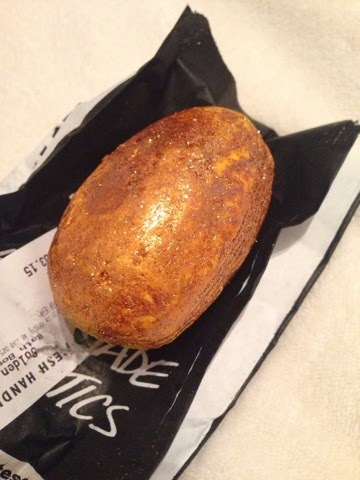 It leaves your bath golden and glittery as well, what more can you want in a bath bomb? I'm definitely going to stock up on this before Easter is over! 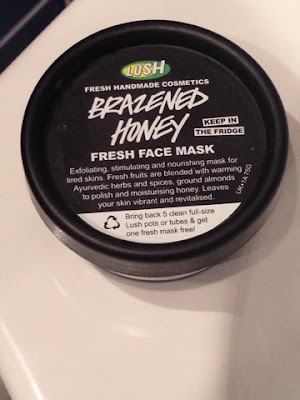 The last product I picked up from Lush was the 'Brazened honey' face mask. I used this over the Christmas period as I was having skin troubles and it did wonders. Due to this and as I'm again having a bit of skin trouble, I thought I'd purchase it to help fix the problem. For a more in depth description, I wrote a review that you can check out here. The only other shop I bought something in was Tiger. I adore this shop; it has a variety of home ware and craft items all for a minimal price. I saw a rabbit cotton wool holder like this on Pinterest and thought it was the cutest thing so when I found it in the shop for only £2 I had to buy it! I also got a toothbrush holder for only £1. After our look round the shops, we went for dinner. 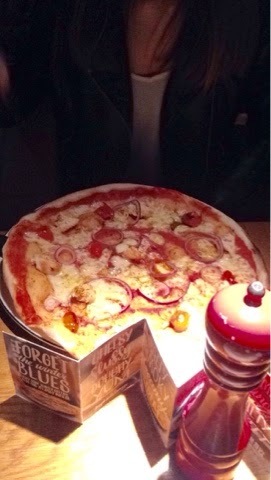 Once we had a walk around, we saw that Pizza Express was tucked away down a little lane and thought we'd give it a go. The lighting was pretty dark in there and it was quite difficult to take pictures, however the food was scrumptious! I went for the Pollo ad astra which was a pizza covered in chicken, sweet peppers and red onion which was absolutely delicious! 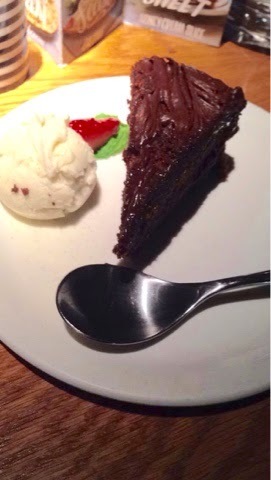 For dessert, I as usual had to go for something chocolaty and chose the chocolate fudge cake which was just beautiful! Once we were all full from dinner, we headed to the theatre. Both of us were rather excited as we've wanted to see the Nutcracker for years and it sure didn't disappoint. I thoroughly enjoyed every minute and was mesmerised at times with the moves performed. Ballet to me is such a magnificent art form and leaves you transfixed. 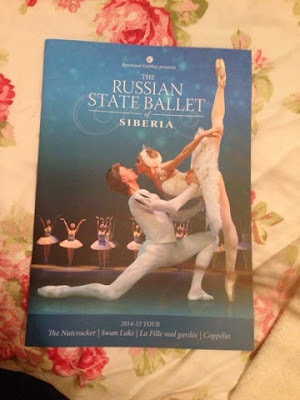 I've now watched two ballets and would happily go see some more! The day was full of laughter, fun and an unforgettable experience, all of which I shared with my best friend, my twin sister Maria. 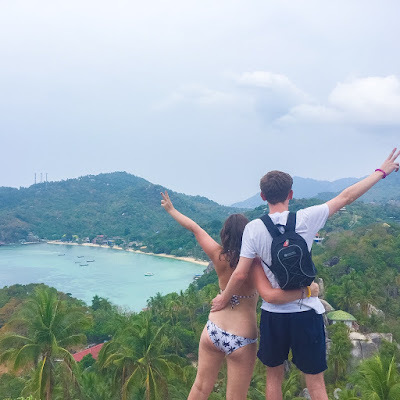 I hope you enjoyed this day in the life style post. 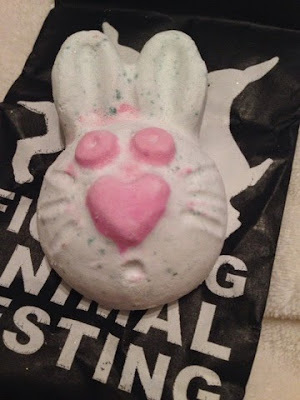 Looks like a lovely day out, lush's easter range is so good at the moment. 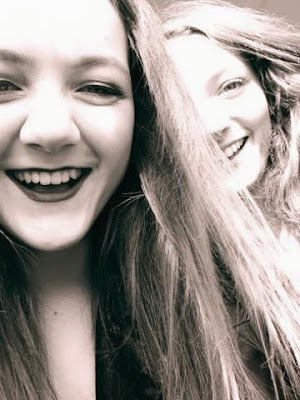 Your both stunning ladys!